It is Rhyme Time! 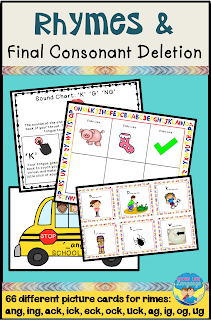 Since I feel very committed to helping children, I've made a series of easy to play games that can be used by parents, SLPs, SPED and PreK teachers to help build children's literacy skills. 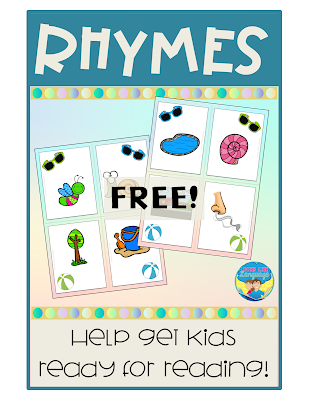 This week, there's another rhyming set available to download for free! Why rhyming? 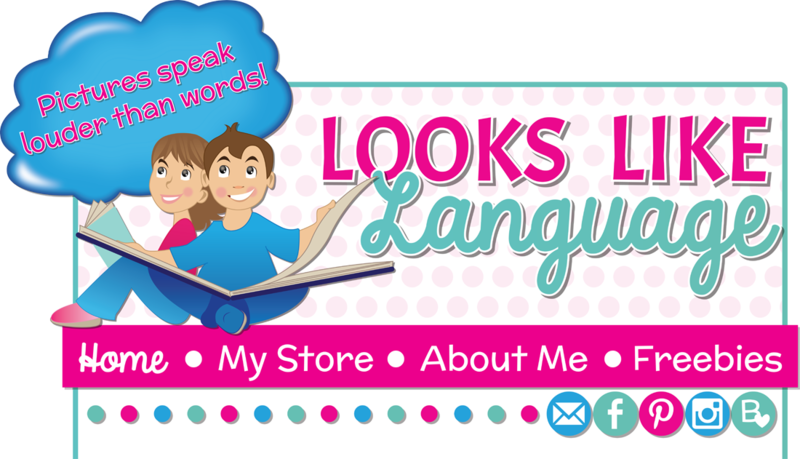 It is one of the important pre-reading skills that children need to have! Download this free part of the set here and keep coming back every week to get the rest of the set. Are you an educator looking for something more in depth? 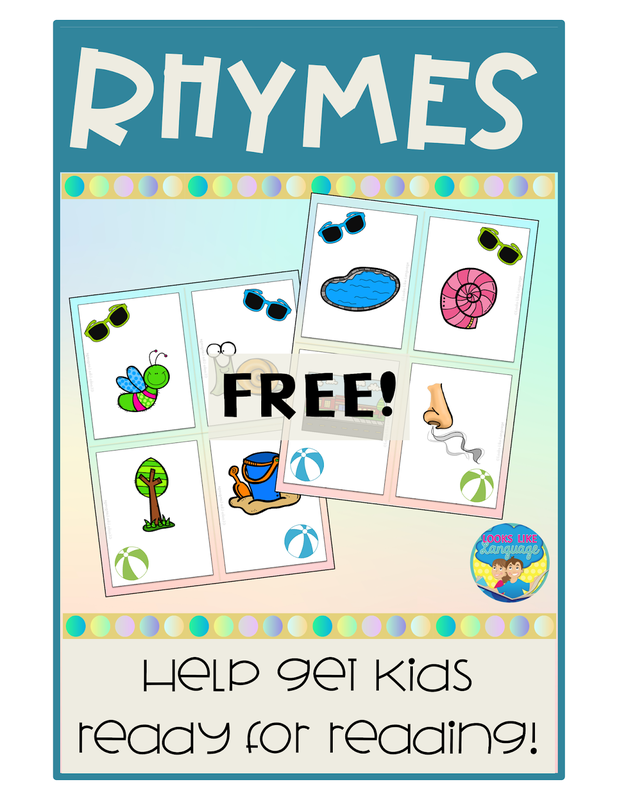 Take a peek at my rhyming games at my store! There are 66 different pictures in this set, so you can differentiate more easily for groups and even build vocabulary with the less common words. Click here to check it out.